Canalside Community Food » Who are we? Canalside Community Food > About Canalside > Who are we? 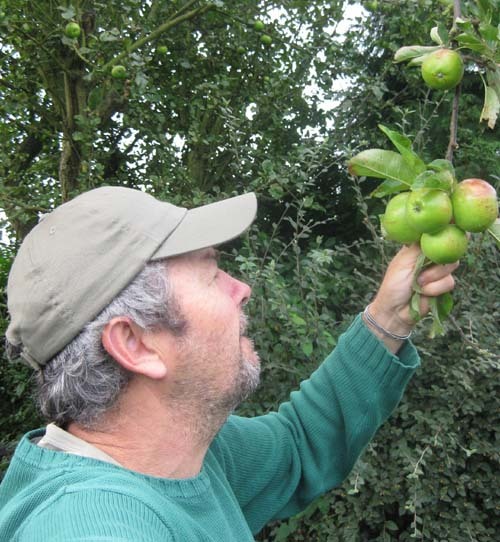 Canalside Community Food is run by a small but very committed group of people, the original core of whom have been meeting since the Summer 2005. We are a diverse group, ranging from farmers to organic researchers to teachers, but what we do all share are strong beliefs in local food and community empowerment, and in particular what we are doing through our work at Canalside. For your interest, below is a brief profile of the Canalside employees, just so you can recognise some of the people you might meet at the farm! 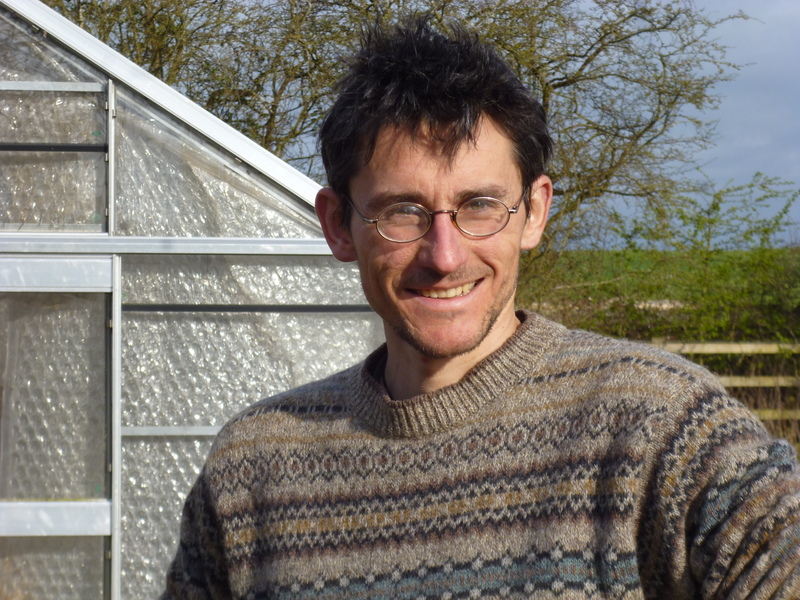 Dom van Marsh‘s journey to field-scale growing started on a allotment site in Leeds, where as an impressionable student he was persuaded by a clump of fresh leeks that fresh, seasonal produce made sense not just in terms of taste but also from a dietary, ecological, political, social and economic point of view. 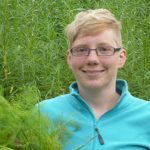 After graduating in Chinese Dom spent some years working in urban food growing and then plunged into the 2-year Apprenticeship in Biodynamic Horticulture at a care farm near Darlington. Together with his partner Nanda, Dom broadened his experience on farms in North Yorkshire, Pembrokeshire and Fife before starting at Canalside in February 2016. Dom is the Head Grower for Canalside. Lena is a Grower for Canalside. Ali Jeffery returned from Pakistan (where she worked as a VSO volunteer), convinced that the supermarket culture has it all wrong in the way it divorces people from the food production process, the land where their food is grown and their local environment. 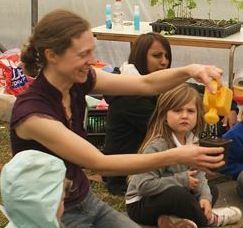 She started growing a few veggies on the roof of her boat, but then discovered something even better: she came across the newly established Canalside Community Food at the Peace Festival shortly after returning to Warwick in 2007. 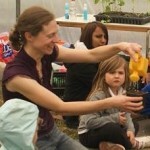 She started as a regular volunteer at the farm straightaway. After two years, a six-month break for a round-the-world trip saw her leave temporarily, but she’s been firmly back in the area, and a Canalside employee, since 2010. 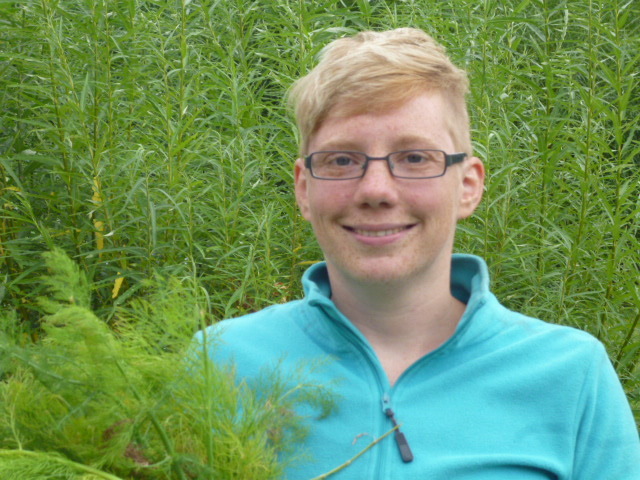 She does the administrative work for the scheme and leads Canalside’s education project – she can’t wait to teach more local school children about the wonders of local, organic, seasonal veggies in the near future! Ali is the General Administrator for Canalside, and the Education Project Coordinator. 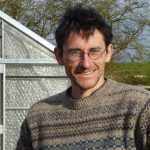 Gareth Davies has been involved with Canalside since the start as an active member of the CSA and avid consumer of the produce. Gareth was involved in establishing the fruit orchard within the CSA. Apart from being a member of the steering committee, Gareth works as part of the admin team keeping the books, paying invoices and making sure the finances are kept on track. Together with Fiona he helps to keep the accounts up to date and ensures that the company fulfils all its legal obligations! Gareth is the Finance Administrator for Canalside. Volunteer workshares: The growers’ work is supported by a group of volunteer workshares who make a commitment to help out every week. These volunteers give half a day’s work each week to help with a wide variety of tasks in the fields and polytunnels – weeding, planting, harvesting, maintenance and much more. When needed we operate a waiting list for placements as a volunteer workshare – members of Canalside are welcome to request to become a volunteer workshare / to be added to the waiting list. Non-members who wish to become a volunteer workshare or to be added to the waiting list will need to join Canalside as a social member. Steering group: The work of Canalside Community Food is overseen by its steering group, which consists of its employees and members. January 2019 – Current members of our Steering Group are: Gareth Davies, Dom van Marsh and Ali Jeffery as Canalside employees; Magali Fowler representing regular volunteers; Ruth Leary, Xandra Gilchrist, Sue Gibson and Geof Elvyhart representing produce share members; Judy Steele representing social members; Tom Ingall representing investor members; Matt Western as an advisory steering group member. Members who are interested in getting more involved in the decision making process of Canalside Community Food and would like to join the Steering Group should get in touch with Ali!